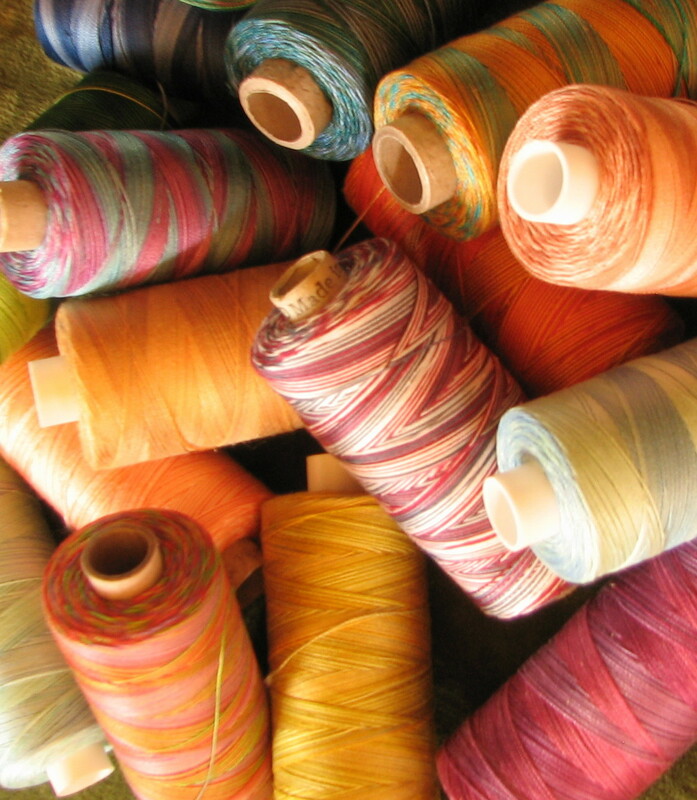 Love these beautiful cotton hand dyed threads. I like to stitch with threads that easily fill a particular space evenly, leaving a nice balanced textured area. Valdani variegated threads are perfect for my style of stitching. Love to work on portrait pieces. Facial stitching can be a bit of a challenge. 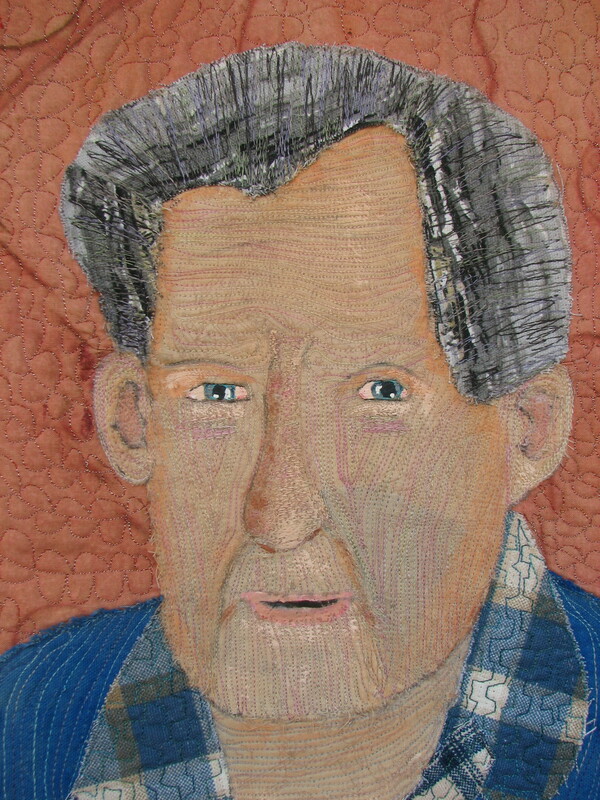 Here is a peek at “Knowing Roy.” My art is mostly heavily stitched. I love to define the area that I’m working on with thread work. It may be tree foliage, faces, hands, arms, etc..Its important to me to add clarity to the movement of the piece utilizing wonderful threads.